Stopfinder is the easy to use, all-in-one parent app designed by parents for parents. Know in real-time where your child’s bus is and have the most accurate information about your child’s bus schedule in the palm of your hand. As a parent do you want Stopfinder for your child and school? Please complete a short request form and we will inquire directly to your school district. With Stopfinder, you can know where your child’s bus is and when it arrives at school – in real-time! Your child’s safety is paramount. No parent, school administrator or bus driver wants to have their children waiting at the bus stop any longer than they need to – in good or bad weather. None of us want them missing the bus either. A fully integrated and secure solution for Transfinder customers has arrived – Stopfinder. We know that the data behind a parent app is critical for accurate information. We also all know that schedules and plans change for any number of reasons and circumstances, but receiving timely updates is critical for you. You gain a greater peace of mind, and the safety of your child increases with Stopfinder in use, because you and the school district are better informed in a timelier manner. 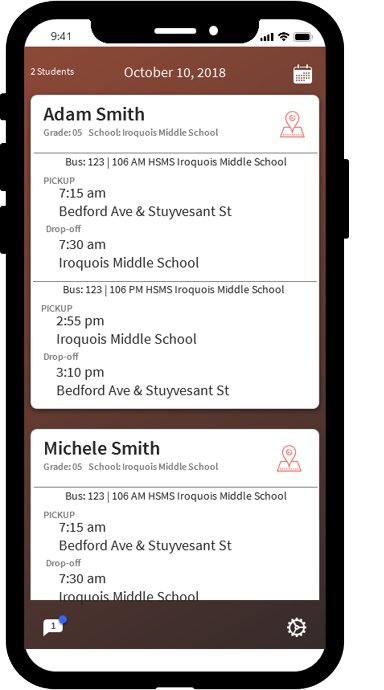 With Stopfinder you can receive push notifications with any changes to your child’s bus schedule, or inform you when there has been a schedule change or change in route. Stopfinder can also track multiple buses if you have more than one child in school and know exactly when your child arrived at school. 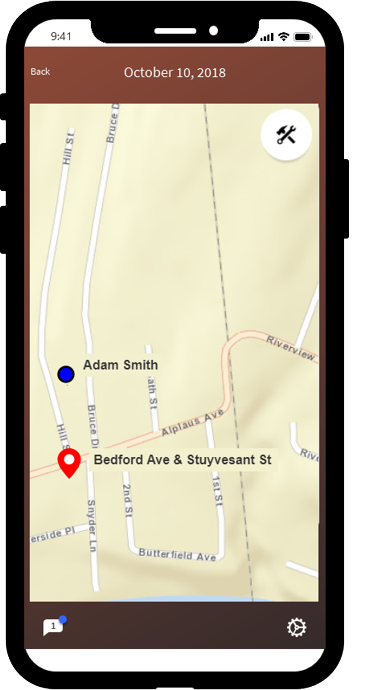 With Stopfinder you, and your authorized guardians or family members will now know your child’s bus schedule, ETA (Estimated Time of Arrival)* to the bus stop and when your child has gotten on the bus. And this is all available on your smartphone or tablet. Your school district can even customize Stopfinder to send you notifications and updates. The Stopfinder app is secure and protected. Your child’s schedule is only granted to those that have permission. * The Stopfinder schedule feature and messaging is FREE to all Transfinder customers using Routefinder. Requires specific hardware on the bus purchased by the school district. Bus ETA and Attendance require added hardware and will incur monthly service fee. Stopfinder is built off of the 30 + year reputation and innovation of Transfinder and the most powerful routing solutions available today – Routefinder PLUS and Routefinder PRO. Stopfinder was created by Transfinder, the industry leader in location intelligence and school bus routing software, and trusted by more than 2,000 school districts in North America for the safe transportation of millions of students every day. The app can be downloaded to any iOS or Android enabled device and is available at the Apple App Store and Google Play Store. Parents can also access the Stopfinder app on their PC through a web browser. *To use Stopfinder your school district must have Routefinder software from Transfinder. Your school district must make the Stopfinder app available for your use.